The same people in Congress who tried and failed to block the multinational nuclear nonproliferation deal with Iran a year ago are trying to thwart one key part of it now. In exchange for agreeing to controls on its nuclear program, Iran was allowed to update its passenger airline fleet with Western-made planes and equipment. 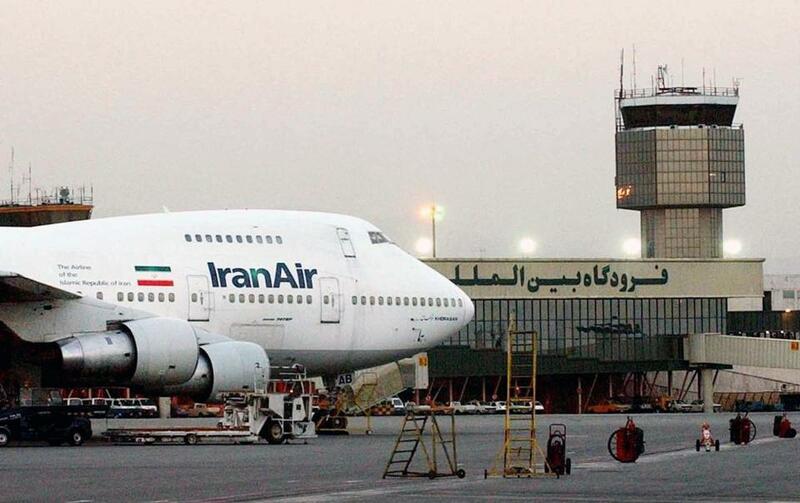 But as aircraft manufacturer Boeing prepares to sell 80 jetliners to Iran Air, the Republican-led House of Representatives has been angling to stop the transaction. The House recently approved amendments prohibiting the US Treasury and American financial institutions from assisting the sale — in effect, blocking it. There’s no merit to this maneuver. It’s just an attempt to refight the deal negotiated over years of painstaking talks by the Obama administration and the foreign ministers of Britain, China, France, Germany, Russia, and the European Union. Signed a year ago Thursday, the deal itself is already serving its fundamental purpose of crippling Iran’s ability to produce a nuclear weapon. According to the International Atomic Energy Agency, which is responsible for monitoring the agreement, Iran has dismantled the vast majority of the centrifuges it had been using to enrich uranium, a standard component in nuclear weapons; ended all enrichment at a previously unacknowledged facility; parted with 98 percent of its enriched uranium; and shut down a heavy-water reactor that could otherwise be used to produce weapons-grade plutonium. To secure these and other concessions, the multinational negotiating team agreed to loosen the tough sanctions that withered Iran’s economy in the years leading up to the deal. In return, the deal guarantees Iran access to newer, safer, more sophisticated commercial passenger aircraft — among the few US products that can be sold to Iran under the agreement. Both Boeing and Airbus, the rival European jet maker whose planes include many US-made parts, are eager to provide those planes. The list price of the 80 jets that Boeing intends to sell to Iran Air is $17.6 billion. Opponents of the deal in Washington — primarily but not entirely Republicans — have argued that Iran’s military could use any new aircraft to supply personnel and war supplies to bad actors such as Hezbollah or the Syrian government. Still, these aren’t jet fighters. The civilian need for newer, safer passenger aircraft is genuine. And the multinational team that negotiated the nuclear deal understood that it would involve some concessions — and giving Iran the ability to buy scores of planes from Boeing, plus planes from Airbus that incorporate American components, is hardly an abject surrender to the Islamic Republic’s nefarious geopolitical ambitions. Anyway, the United States joined other world powers in making a deal that survived congressional scrutiny. Now Washington needs to stick to its word. The basic problem in the congressional debate over the Iran nuclear deal is that opponents don’t believe it should involve any concessions at all. A sufficient show of steely resolve would force the Iranians to back down entirely, the logic goes. If not, the right number of air strikes would surely solve the problem. This stance never, ever made sense. For one thing, Iran spread its nuclear facilities around, precisely to make it more resistant to aerial bombing. The international support on which the existing sanctions rested would not have survived forever. The Iran deal made the most of American leverage at a difficult time. Ultimately, opponents of the Boeing sale are rejecting the very premise of diplomacy — the notion that a certain measure of give and take, even with largely hostile foreign regimes, can promote a peace that’s in every party’s mutual interest. Boeing’s sale to Iran should go forward not because of the jobs it provides in the United States — though that certainly helps — but because it would signal that the US government keeps its commitments and lets reality, not ideology or wishful thinking, guide its policies toward the world.